In an ugly reminder of the sensational mob lynching incident of Dokmoka in Assam Karbi Anglong district, another incident of mob lynching took place in Biswanath district of Assam early Thursday morning sending shock waves across the region. 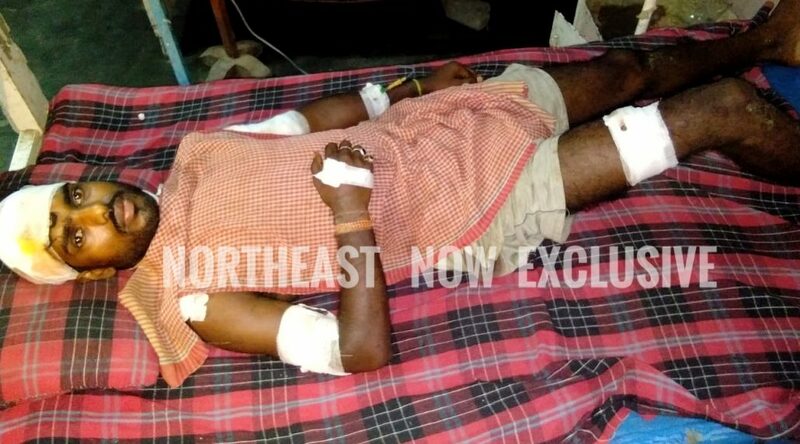 One person lost his life while three others sustained grievous injuries when a irate mob of people armed with machetes, sticks and iron rods attacked them at the number 15 line of Diplonga Tea Estate at Sootea in Biswanath early Thursday morning. The deceased has been identified as one Deben Rajbonshi, aged around 50 years. The injured have been admitted to a hospital in critical condition. The injured presently undergoing treatment in a private hospital have been identified as Phulsan Sahu, Bijoy Nayak and Pujen Rajbonshi. According to information, the four unfortunate persons were pig traders and they had gone to the area early Thursday morning to buy pigs. However, the villagers suspected them to be cattle thieves as there have been incidents of cattle thefts in the area in recent times. Though police have begun investigation into the whole incident, no arrest has been made so far. Meanwhile, sensation prevailed in the entire region over the mob lynching incident.